Asthma is a lung disease that causes your airways to tighten up, making it hard for you to breathe. There’s no cure for asthma. 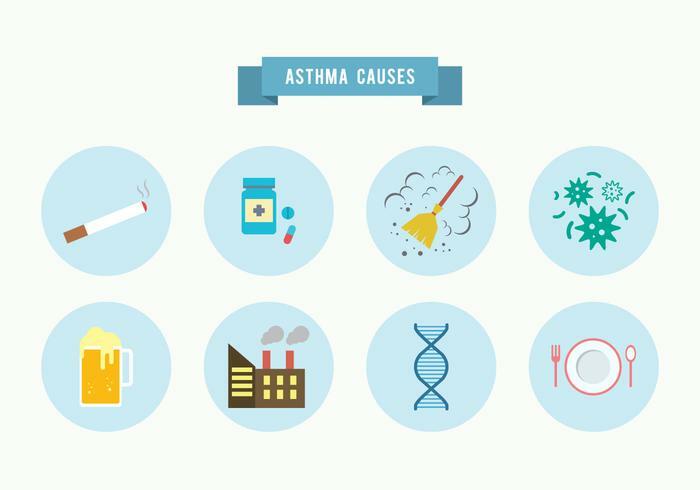 Even if you have asthma and feel healthy, asthma flares (when symptoms become severe) can happen at any time. If you’re pregnant, it’s really important to consult with your doctor to manage your asthma and get medical care, if needed. Asthma affects 4 to 8 out of 100 pregnant women. 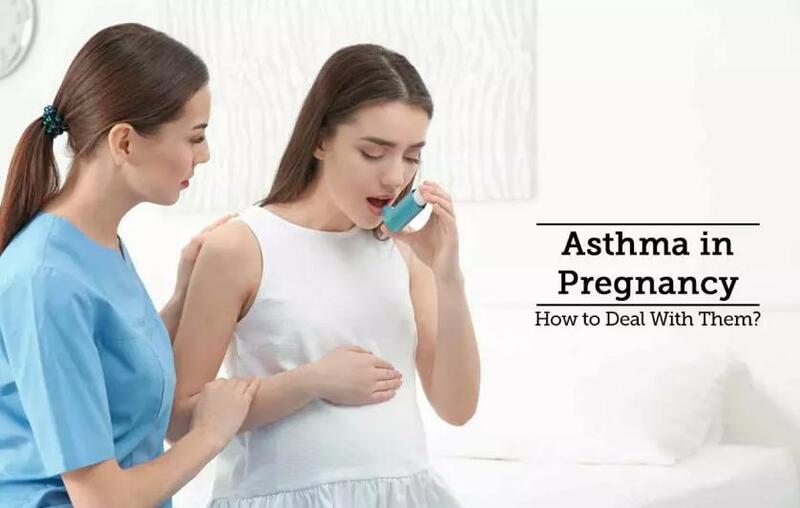 If you keep your asthma under control, it probably won’t cause any problems during your pregnancy. However if you don’t you may be at risk for a serious health problem called preeclampsia. Preeclampsia is a condition that can happen after the 20th week of pregnancy or right after pregnancy. It’s when a pregnant woman has high blood pressure and signs that some of her organs, like her kidneys and liver, may not be working properly. If you don’t control your asthma, and your flare is triggered, your baby may not get enough oxygen and this could lead to health risks such as premature birth, poor growth, and low birth weight. You may have one or more asthma symptoms. About 7 out of 10 people with asthma (70 percent) have allergies. Common allergens are pollens, molds, animal dander (small flakes of dead skin), dust mites and cockroaches. Limit your contact with allergens. If you still have asthma symptoms, talk to your health care provider. Irritants are things in your environment that may hurt your lungs and trigger asthma symptoms, including air pollution, cigarette smoke and smoke from wood-burning stoves or fireplaces, cold air and strong smells, like paint or perfumes. Infections like a cold, the flu or viral pneumonia, can trigger asthma symptoms in some people. How is asthma treated during pregnancy? Your health care provider needs to monitor your lungs while you are pregnant so he can adjust your asthma medicines, if needed. Tell your provider if your symptoms improve or get worse. By limiting your contact with allergens and other asthma triggers, you may need to take less medicine to control your symptoms. Is it safe to take asthma medicine during pregnancy? Asthma symptoms that don’t stop or that get worse can be a risk to your and your baby. If you were taking asthma medicine before pregnancy, don’t stop taking it without talking to your provider first. If you’re diagnosed with asthma during pregnancy, talk to your doctor about the best way to treat or manage it. If you’re already getting allergy shots, you can keep taking them during pregnancy. But if you aren’t getting allergy shots, don’t start taking them when you’re pregnant because you could have a serious allergic reaction called anaphylaxis. Do you need any special tests if you’re pregnant and have asthma? If your asthma is under control and mild, you may not need any special tests. If your asthma is not well controlled or if your asthma is moderate to severe, your doctor may recommend repeated ultrasounds to check to make sure your baby’s growing normally. Are asthma medicines safe when you’re breastfeeding? Asthma medicines do get into your breast milk, but the amounts are very low and are safe for the baby. If you take high doses of certain asthma medicines, like theophylline, your baby may become irritable or have trouble sleeping. To help prevent this, take your asthma medicines 3 or 4 hours before the next feeding. If in doubt, always consult your doctor.